Central has been given the opportunity to pre-buy the newest Jeff Kinney book! 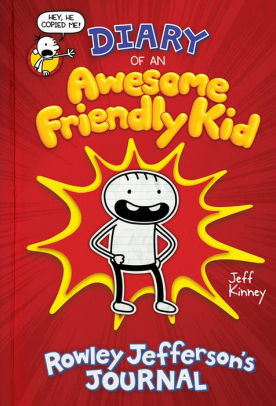 Diary of an Awesome Friendly Kid: Rowley Jefferson’s Journal won’t be out until April 9, but pre-order your book at the book fair and you will get the paperback for only $8.99 (that’s $9.80 with tax)! The books will be shipped to Central and should be here in mid-April. If you would like to order, please print out a copy of the order form and send it in with payment (including tax). We will accept orders until Friday, February 1.